HostSearch interviewed Haralds Jass, President and CEO at Superb Internet - a world-class web hosting company founded in 1996. 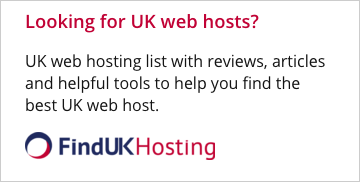 HOSTSEARCH: Haralds, thank you very much for giving us an opportunity to talk with you today. Can you please tell us briefly about your background? HARALDS JASS: I’ve spent the majority of my life (20 out of 36 years) running Superb Internet Corp. It has been the one constant in my life, in my mind, and the first thing I do every morning and evening (check my work e-mail). Over the last 20 years, I’ve not only seen and been a leading part of the incredible growth, innovation and evolution of Superb, but I’ve also seen the whole hosting industry grow and change, immensely, many fold over. The one constant in this industry is the continuous growth, change and evolution. HOSTSEARCH: Allow me to congratulate you on the occasion that Superb has been in business for 20 years this year. Can you please tell us what your company strengths are? HARALDS JASS: Innovation: being an industry leader and not a follower. We spend far more time and resources on R&D than our peers in the industry. For example, we started work on our cloud platform in 2007, for which our goal set out was that it has to be ‘better than dedicated’ in every way and cannot have any limiting factors that would make it in any way lesser than a dedicated server, and that it has to have true 100% High Availability with zero bottlenecks or single points of failure. It took us longer than we’d have liked – as we set the standards so high, but we now have a unique cloud platform that not only outperforms the competition up to several fold over, provides fully guaranteed – always constant and predictable, never shared or oversubscribed, resources, but is also using truly amazing modern distributed storage and the 40 Gb/s revolutionary InfiniBand networking technology, until now only used in super-computing environments. Quality of Service: always – and I mean always – putting our customers first. Customers First is one of our core founding principles and is heavily instilled is all of our staff. If is a part of who we are. Everyone’s role in the company is always, first and foremost, being there for and taking care of our customers. We view ourselves as partners in success of our customers. Unmatched Certifications: Over the last few years we’ve pivoted more towards larger enterprise, financial institution and government hosting. As part of that move, we’ve achieved not only the now industry norm SSAE-16 SOC-1 Type II yearly audit compliance, but also ISO 9001:2008 (Quality Management) and ISO 27001:2013 (Information Security Management) Certification & Registration with the global International Standards Organization (ISO), among a number of other international and US-specific standards compliance. The two global ISO standards that we have achieved Certification & Registration under for all of our locations and operations are widely known as the world’s toughest and most thorough IT/hosting security and quality standards, and are the result of many 1000s of work to implement and upkeep and likewise 1000s of pages of internal documentation and procedures being in use every day. When any enterprise hosts with us, there is no doubt that we deliver under the very highest standard of quality and security. Our smaller SMB customers benefit from a service and security level typically only available to the world’s elite multinational enterprises at a small fraction of the cost, and have the hosting side infrastructure and certifications in place for explosive growth. HOSTSEARCH: Could you give us an overview of Superb Internet's services? HARALDS JASS: Certainly. We offer a full range of hosting services, from shared hosting and domain registration, through dedicated servers, a full range of small VM-based, larger resource-pool-based public and custom-built private cloud hosting services, colocation, and up to large and complex geographically diverse ultra-high availability solutions and managed services. All services are provided out of our own data centers and are riding on our coast-to-cost IP backbone, which connects to the majority of the Internet routes directly - completely intermediary transit network free, thanks to our extensive global peering. We are not reliant on any third parties and provide a true 100% uptime, zero packet loss, ultra low latency SLA – which we not only guarantee, but actually deliver. HOSTSEARCH: What is the GridIron? How does it work? HARALDS JASS: GridIron® is our fourth generation shared hosting Platform. Unlike others’ shared hosting that is done on individual servers or VMs, our GridIron Platform (GIP) is fully grid – a.k.a. 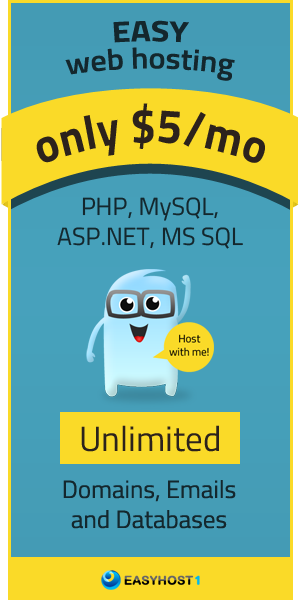 private cloud – based and has practically limitless scalability. There are no “noisy” neighbors. One customer’s site having runaway success (or being a subject of a denial of service attack) is not going to impact any other customer, as there are no permanent neighbors or a set and defined number of customers running on any one server. The load is balanced across a large pool of specialized servers of various types (firewalls, web servers, SSL encrypt and decrypt servers, database servers, back-up servers, mail anti-virus servers, mail SMTP servers, mail POP3 & IMAP servers, and so on). The performance is far greater than that of conventional server-based hosting, as each function is run on a cluster specialized for that specific function, and there is massive extra capacity in place to accommodate even the largest traffic spikes of any customer web sites. HOSTSEARCH: I noticed Superb Internet just launched the new V4s. What are the advantages for customers using this service? HOSTSEARCH: Can you please tell us about the company’s data center? HOSTSEARCH: What are your conducts to become a green hosting company? Why is being a green hosting provider important? HARALDS JASS: Several years ago we have implemented some major measures at all of our data centers in order to reduce our power consumption and improve their operational efficiency. Most of it has to do with the cooling, as air conditioning is the single biggest draw of power at all data centers and has the most room for optimization. At our SEA2 data center, for example, we’ve greatly optimized the coolant loop through the use of modern high efficiency highly optimized variable frequency drive (VFD), and have installed new highly efficient Stulz-ATS 30 ton CRAC (computer room air conditioner) units, thus far exceeding the recommended data center high-efficiency standards by the local utility company, Seattle City Light. HOSTSEARCH: As you are President and CEO at Superb Internet, what are the factors that make you successful in this industry? HARALDS JASS: Persistence and dedication. Always putting our customers first, and always striving for perfection in all that we do. The latter means that perfection is always the goal, but even if you don’t always reach it, you will still, at least, get to excellence. HOSTSEARCH: What direction do you expect the company to go and what new products can your customers expect? HARALDS JASS: We will keep leading the industry and introducing both new services and efficiency, quality, and functionality improvements to existing services. Just like we have over the last 20 years, for the next 20 years (and beyond), we’ll never stop that “journey to perfection.” We may not always achieve perfection, but at least we’ll always get to excellence. HOSTSEARCH: Well, we look forward to see your success in the coming years. Thanks again for giving us an opportunity to talk with you today. HARALDS JASS: Likewise, it was great talking to you.